Demand for acclaimed British physicist and cosmologist Stephen Hawking's PhD thesis intermittently crashed part of Cambridge University's website as physics enthusiasts flocked to read his work, the media reported on Tuesday. Hawking's 1966 thesis "Properties of expanding universes" was made freely available for the first time on the publications section of university's website at 12.01 a.m., reports the BBC. More than 60,000 have so far accessed his work as a 24-year-old postgraduate. 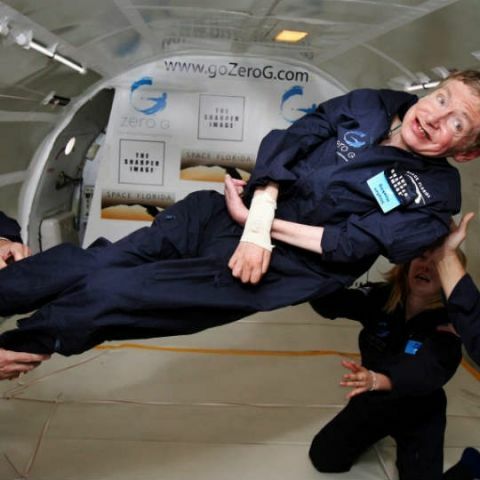 Hawking said by making it available he hoped to "inspire people". "Anyone, anywhere in the world should have free, unhindered access to not just my research, but to the research of every great and enquiring mind across the spectrum of human understanding. "It's wonderful to hear how many people have already shown an interest in downloading my thesis - hopefully they won't be disappointed now that they finally have access to it," he added. The 75-year-old's doctoral thesis is the most requested item in Cambridge University's library. Since May 2016, 199 requests were made for the PhD, most of which are believed to be from the general public rather than academics. The next most requested publication was asked for just 13 times, reports the BBC. Previously, to read Hawking's PhD in full, people had to pay 65 pounds to the university library to scan a copy or physically go to the library to read it. Because of the popularity of the 134-page work the website has, at times, struggled to cope with the volume of users on Monday. But thousands have still been able to read the document by the man who would go on to write "A Brief History of Time", one of the most influential scientific works ever. The abstract of his PhD begins: "Some implications and consequences of the expansion of the universe are examined". Why Digit.in apps is not available?